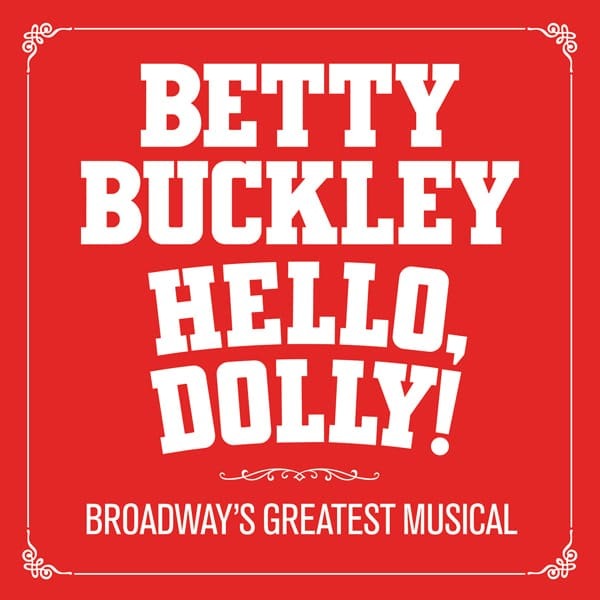 Hello Dolly with it’s array of comedic characters, it’s bounty of cheerful tunes by Jerry Herman and spectacular assortment of exuberant dances can hardly go wrong, but this production starring Broadway Royalty, Betty Buckley makes it as perfect a production as it can be. 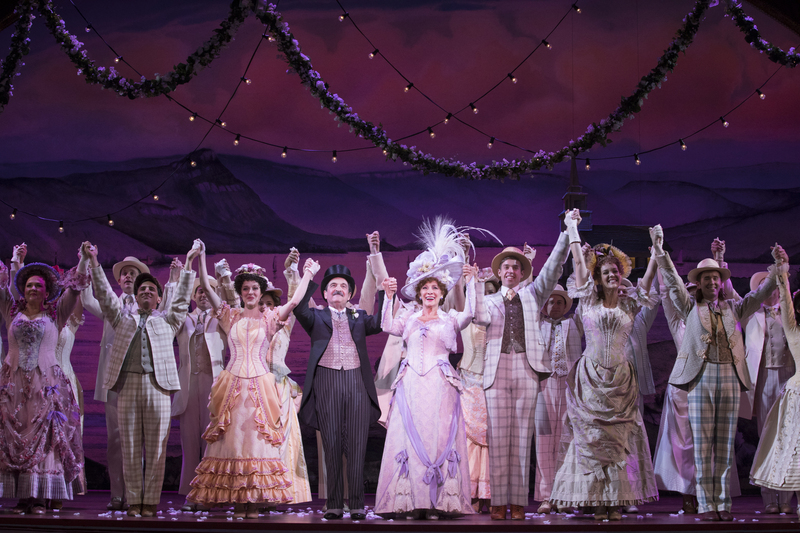 Hello Dolly has been around since 1964 when David Merrick took Thornton Wilder’s 1938, “The Merchant of Yonkers” and turned it into the ten time Tony Award winning “Best Musical” that has delighted audiences for decades. All that time and four Broadway revivals has seen many stars of stage and screen tackle the title role of Dolly, including Ethel Merman, Bette Midler, Mary Martin, Barbra Streisand, Pearl Bailey, Ginger Rogers, Betty Grable, Phyllis Diller and of course Carol Channing who made it her signature role. 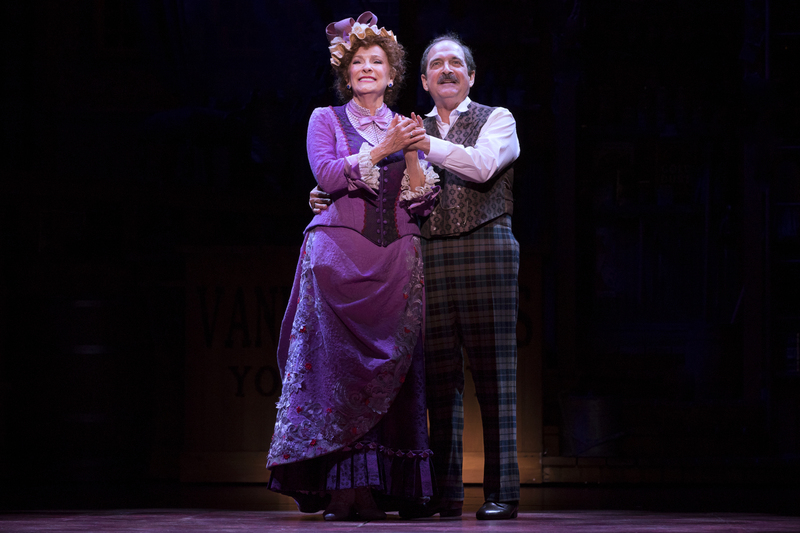 Now the role is in the very capable hands of Betty Buckley who brings a matronly warmth to her portrayal of that, “exasperating woman.” That warmth makes Buckley irresistible as Dolly and draws one in as if your own grandmother had just baked a fresh batch of cookies. Buckley never falters for a moment, throwing out zingers like a pro and staying right in step with an amazing chorus of much younger dancers. She’s a marvel to watch and her vocals are just as warm and polished as her portrayal. The chorus that Buckley leads is worth mentioning here. A collection of high stepping performers who are surely just as amazing in principle roles elsewhere, are joyous to watch flying through the air with leaps and kicks expertly choreographed by Warren Carlyle. Seldom does a company of chorus players work so hard as this group effortlessly does. They are an absolute joy to watch and contribute so much to this production that they are dangerously close to stealing the show. Keep your eye on them during the “waiters gallop,” they are scene stealers every one. Holding his own against Buckley is Lewis J. Stadlen as Horace Vandergelder, the half a millionaire business owner that Dolly has her eyes on. Stadlen is perfectly curmudgeonly in the role and finds enough variety to keep Horace from being one note. The jaunty little song, “Penny in My Pocket” was added back into this production after being cut from the original Broadway show and though Stadlen does a valiant job of singing it, it fails to demonstrate that it deserves it’s second life. The “quartet” of Cornelius Hackl, Barnaby Tucker, Irene Molloy and Minnie Fae is simply delightful. Nic Rouleau’s gorgeous tenor voice soars into “Put on Your Sunday Clothes” and understudy Julian DeGuzman is charming as Cornelius’ right hand man, Barnaby. Annalisa Leaming brings a bit of naughtiness to Irene that makes her a little more fun to watch and less sad than I’ve seen in other productions. Kristen Hahn makes Minnie Fae more dull and dense than she is usually played and it pays off in some brilliantly funny moments. If the music, choreography and expert performances don’t get you on your feet, the gorgeous costumes and set design will. 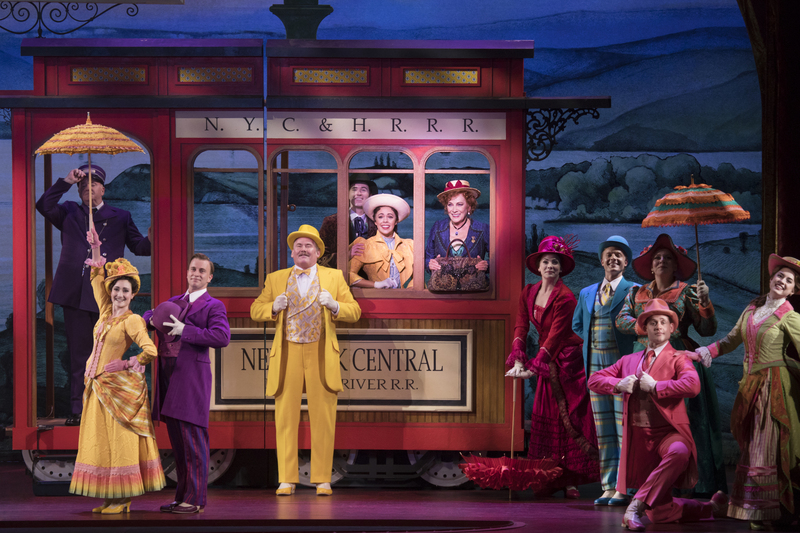 In cheerful pastels full of ruffles, bows and period headwear the costumes are a feast for the eyes and from the magical feed store of Vandergelders to a lifesize passenger train that makes your heart soar, the design elements in this show are perfection.